The Peninsula is a luxury home golf and lake community. It encompasses 11 miles of Lake Norman shoreline and features an 18-hole Reese Jones-designed golf course as well as the Peninsula Yacht Club, home to over 400 boat slips ranging from 25-45 feet in length. 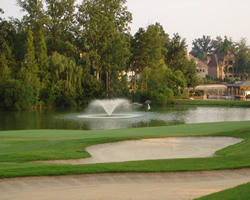 The Peninsula Club boasts a 35,000 square foot clubhouse overlooking beautiful Lake Norman and the signature 9th green. Boating, leisure and recreation are the focus of the Peninsula Yacht Club which is a private, members-only facility. The clubhouse has a full-service dining room and bar in a casual yet elegant atmosphere. The Yacht Club also features a beautiful pool setting and a specially-designed playground for young children. For more information about the Peninsula Homeowners Association, click here . Homes in The Penninsula range from the $500s to $5 Million. Looking for The Peninsula homes for sale? Looking for The Peninsula homes for sale? Search our local listings database for access to listings in The Peninsula and surrounding communities. Whether you want to buy or sell The Peninsula real estate, you can browse through properties or find a wide variety of real estate resources available on this website. If you are looking for a REALTOR® for The Peninsula, choose Debbie Sloan. As your The Peninsula real estate agent, Debbie Sloan can assist you with all of your home buying and selling needs. We can provide you with access to the Lake Norman local listings database and offer our experience and knowledge to make the home buying or selling process easier for you and your family. Contact Debbie Sloan today to get your home search started!